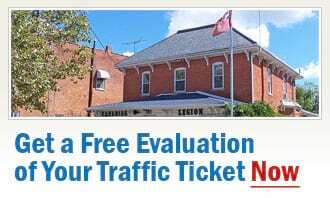 If you are located in Blenheim Ontario and you have received a traffic ticket - in Blenheim or somewhere else in Ontario, then Ticket Defenders®* can help. At Ticket Defenders®* we are proud to have some of the most experienced and educated court agents in the province of Ontario. With our high level of expertise, our service and success rates are tough to match. We have already saved many of our clients their licence, demerit points and insurance rates by successfully getting their traffic ticket charges reduced, withdrawn or dismissed. The initial, no-obligation consultation is free. To find out how we can help you with your ticket, please contact us today. Our Blenheim ticket defence office's business hours are 9 am to 5 pm, Monday to Friday. Also, feel free to try our free, no-obligation traffic ticket consultation at any time. Our experts on traffic tickets in Blenheim will analyze your case and give you honest, professional advice on what can be done to get you the best result. Contact our Blenheim traffic ticket defence team today to find out what your chances in court are.